The surface of many Old Master paintings has been affected by the appearance of whitish lead-rich deposits, which are often difficult to fully characterise, thereby hindering conservation. Painted in 1663, Rembrandt's Homer is an incredibly valuable and much-loved painting. Like many Old Masters it has a long and eventful past, which has taken its toll on the painting's chemistry. The test of time and environmental factors, combined with the painting's history, caused a barely visible, whitish crust to form on the surface of the painting. This crust indicates that chemical reactions are occurring which could potentially pose as a risk for Homer and other old paintings if not kept in stable museum conditions. A paper in ChemComm (Royal Society of Chemistry) has been published by a team of conservation scientists from the Mauritshuis in the Hague and the Rijksmuseum in Amsterdam, University of Amsterdam and scientists from Finden Ltd, UCL and Diamond Light Source, the UK's National Synchrotron. Called "Unravelling the spatial dependency of the complex solid-state chemistry of Pb in a paint micro-sample from Rembrandt's Homer using XRD-CT," this paper is particularly timely given the celebrations occurring in 2019 to mark 350 years since the death of Rembrandt and the Dutch Golden Age. 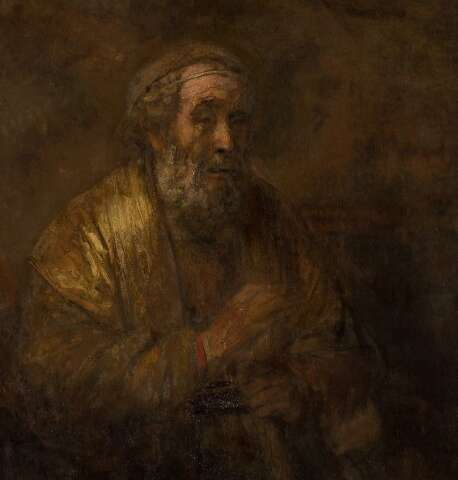 A paint micro-sample from Rembrandt's Homer was imaged using X-ray Diffraction Computed Tomography (XRD-CT) in order to understand the evolving solid-state Pb chemistry from the painting surface and beneath. To identify the complex chemistry of this white crust, the team carefully prepared a micro-sample of the damaged paint. They used the powerful X-ray light beams at Diamond to explore exactly what is causing the white bloom or crust that forms on the painting. This can hopefully help in determining how to prevent such crusts forming, and to improve future conservation treatments of old master paintings. 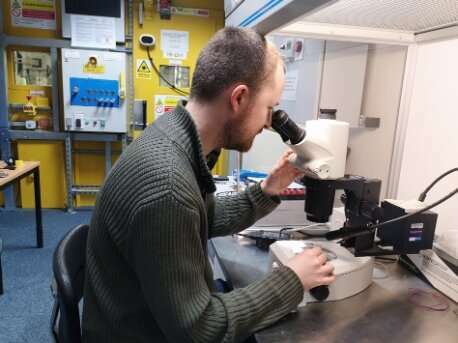 Lead author, Stephen Price from Diamond Light Source and Finden Ltd, says, "Synchrotron facilities are incredibly useful for situations where you have a very small amount of a precious sample and require as much information as possible from it. 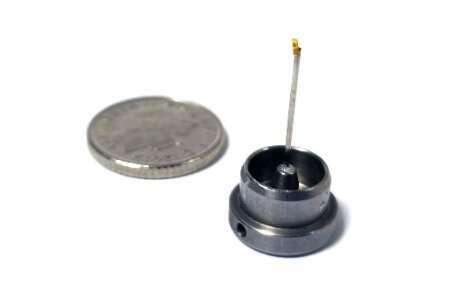 Our sample was less than 100 µm, less than the width of a hair, so a lab-based source wouldn't have the resolution to image such a small volume. To get the optimal results, we used a technique which combines two experiments called X-ray diffraction computed tomography (XRD-CT) at Diamond Light Source." Claire Murray co-author from Diamond Light Source says, "Old master paintings are irreplaceable, so the chemical reactions happening need to be understood to guide conservation strategies and synchrotron techniques are a critical tool for these studies. The technique we used uses diffraction to take a 'fingerprint' of the different chemicals present and tomography to take a 3-D picture of the distribution of different species throughout the paint stratigraphy. This is a very powerful combination which has enabled the identification of the chemistry occurring in the different layers in the painting." The surface crust was identified as a complex mixture of lead sulfates—a mixture of palmierite (K2Pb(SO4)2) and anglesite (PbSO4), which are sulfur-rich minerals. These have formed due to the reaction of the chemicals in the surface layers with the toxic gases from harsh environments the painting has experienced in the past before it had entered the Mauritshuis collection. From the sulfur:lead ratios throughout the paint layer, the authors conclude that sulfur is from an external source in the form of SO2, and that the nature of the lead sulfate product is dependent on the degree of diffusion/absorption of SO2into the paint layers. This lead sulfate product is directly contributing towards the formation of the white crust on the surface of the painting and so understanding the chemistry enables conservation scientists to identify the best treatments.